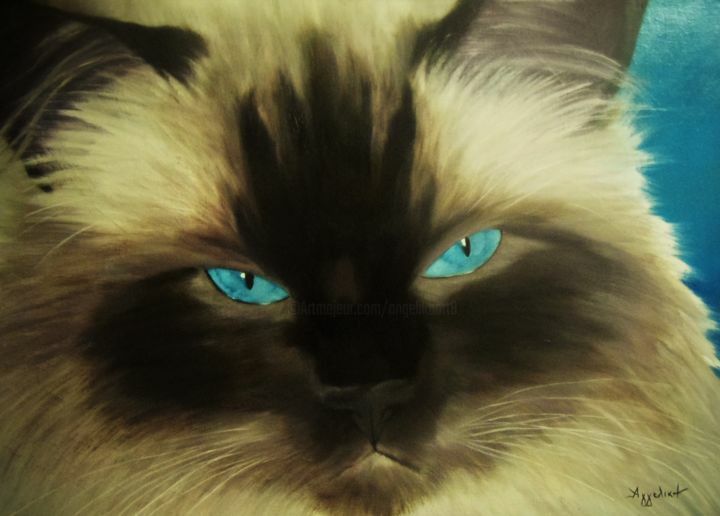 In my collection you can also find my artwork "Selini The Siberian", a painting which has same dimensions as Morfeas'. Selini is a tortie Siberian, Morfea's sister. I love Siberians- isn't it obvious?